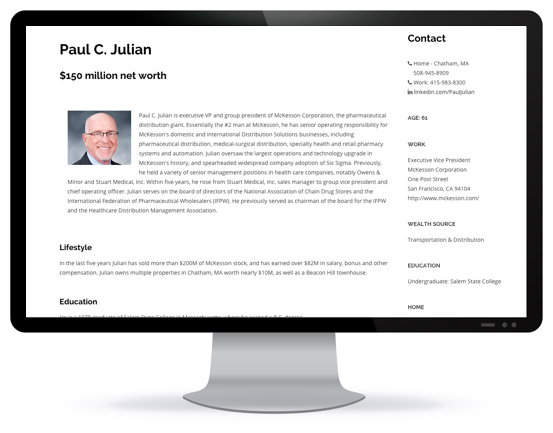 AffluenceIQ is an essential tool for Wealth Managers looking to find their next client; Non-profits seeking their next donor; and Luxury goods purveyors looking for new customers. What separates us from similar products? Unlike other "Rich Lists," AffluenceIQ provides detailed personal contact information. Every profile contains a verified home address. Additionally you'll get access to email addresses, work contacts, personal phone numbers, as well as social media profiles.